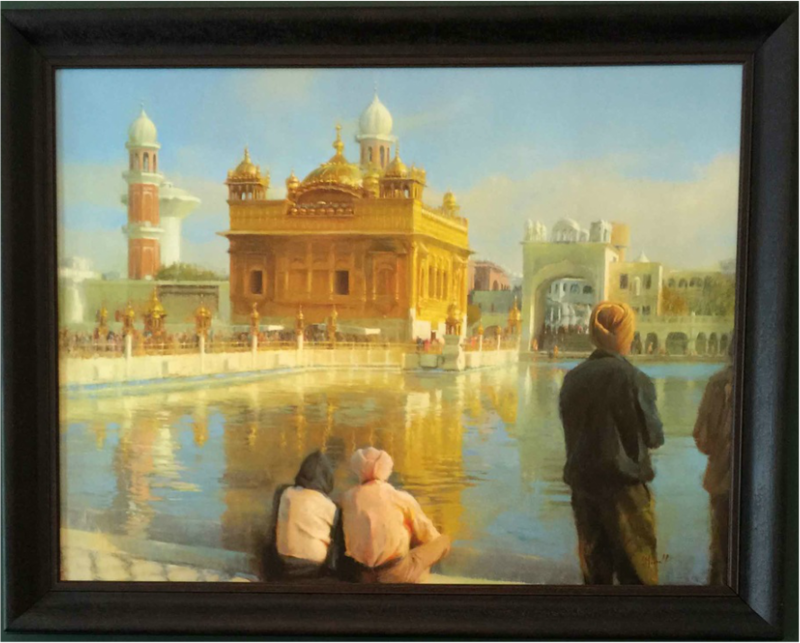 The Golden Temple (or Gurdawra) in Amritsar, India is the central religious place of the Sikhs. It is a symbol of brotherhood and equality. All are welcome to seek spiritual solace there, irrespective of if cast, creed or race. Built in the style of traditional Sikh architecture, it sits below the level of the surrounding land, symbolizing humility. There are four doors to get into the temple which symbolize the four directions (north, south, east and west). The holiest text of Sikhism is a collection of writings by all 10 Sikh Gurus and compiled into the text which is named Guru Granth Sahib. It resides under a building called Durbar Sahib which is the holy place of worship. Over 100,000 people visit the holy shrine daily for worship. There are four entrances to the Gurdwara signifying the importance of acceptance and openness. Once inside there are many shrines to past Sikh gurus, saints, martyrs and three holy trees (bers), each signifying a historical event or a Sikh saint along with many memorial plaques that commemorate past Sikh historical events, saints, martyrs and all the Sikh soldiers who died fighting in World Wars I and II. Much of the present decorative gilding and exquisite gold and marble work dates from the early 19th century under the patronage of Hukam Singh Chimni and Emperor Ranjit Singh, Maharaja of the Sikh Empire in the Punjab.